Unless they have been keeping an eye out for your company and have wanted to work for you for quite some time, the first thing job seekers see about your company is the job description. You post jobs and with it always comes a description of what is expected from that position- at least it should. You likely place the responsibilities, the requirements and also a small blurb about your company. A great job description in the hiring process will lead to great job seekers. On the other hand, a shoddy job description with unclear motives can drive talented job seekers away and confuse others. It’s true that there are thousands upon thousands of job seekers out there today, but sloppy mistakes and a poor job description won’t help you in the hiring process. Instead, hiring managers and employers should work on maximizing their job descriptions in order to reign in the best talent. Having a job description that is unclear and fails to list important aspects of the job will give job seekers the impression that this job is just “OK” and not awesome. In order to attract the best job seekers, you want to give off the impression that this job is a great opportunity. You can’t do that very well with a lacking job description. In order to reign in the best job seekers for your open position, let’s take a look at what your job description should and should not have. Perhaps the most important part of the hiring process is fully understanding the open position. If it is a new position that the company has decided to add, then you need to be sure you know what the roles of this potential employee will be and what is expected of them. Without a clear understanding of this, it will be near impossible to create a great job description for job seekers to view. Gather all of the necessary information before drafting up a job description. Once you understand what the position is and what is expected from the future employee, make a list of all of the skills you deem necessary for the position. What skills are a must and which are preferred? This way, when you start to draft up the job description you will be able to communicate with job seekers exactly what is expected of them. On top of that, job seekers that don’t have most of the skills listed will know that they likely won’t be a top candidate in the hiring process. Doing this can lessen the amount of unnecessary resumes you will eventually have to weed through. Your job description should be more than a list of what is needed from a candidate and what responsibilities will be part of this role. A job description should instill excitement in a job seeker and give them a small glimpse into the company. Focus not just on the skills and roles of the position, but what is exciting and fun about this position as well. What makes this position great? What are some of the challenges that will be met and what makes this position interesting or unique? If you are hiring for a Marketing Director, chances are there are a handful of other jobs just like this. Why is your position great? To expand upon going beyond just demands, why not give some company information as well? The best job descriptions are the ones that offer insight into what kind of company you have. It will come up in the hiring process anyways, so why not address it right away in the job description? You can touch on company culture, the company values, how long you have been around, etc. The best way to portray your company in a job description is to have a company video. That way job seekers can catch a glimpse of what the atmosphere is in your company and what kind of work you do. This will certainly bring in talented job seekers and increase the chances of making a great hire. Certain companies will go about the listing of company benefits in different ways. Some will be hesitant to list them for fear of attracting only job seekers looking for great benefits. However, by listing what you have to offer your employees, you will likely bring in more top candidates. You should state that the benefits and perks are not what make the job, but having them in your job description for people to see will benefit you. Plus, if you aren’t offering your employees great benefits, how do you expect to compete with companies that are? Chances are you won’t accept a resume that has spelling errors and grammatical errors, right? Well by the same token, savvy job seekers will think twice if you have sloppy mistakes in your job description. It denotes laziness and carelessness. This is not the kind of company job seekers will want to try to work for- especially not the most talented ones. Be careful to review your job description before posting it and perhaps have other sets of eyes review it as well. Lastly, if you require work samples, a cover letter or other documents to supplement a resume then you should list that in the job description. If you respond to a candidate after they have already applied and ask for more documents, that’s fine but it can be really frustrating. 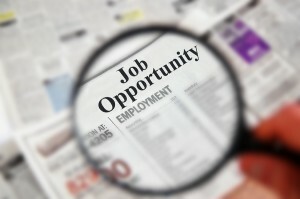 Plus, listing directions for job seekers to follow in the job description can help to weed out job seekers. If they don’t follow the directions correctly, then they likely won’t cut it. What are some things you place in your job descriptions to reel in the best talent? Share with us in the comments section below! How Long Will Candidates Wait for a Job Offer?